UK steel manufacturing has been lifted by the success of the renamed and reinvigorated British Steel. A new era of customer focused service has been ushered in, as Construction Director, Richard Farnsworth tells Nick Barrett. At one point, some feared the manufacturing of the steel sections the construction industry relies on might end in the UK, as Tata Steel looked at the future of its steelworks and mills. That threat has passed however and one of the notable phoenixes to soar from the crisis is the renamed British Steel, which last year announced a return to profit. The old British Steel and its successors Corus and Tata Steel had helped to build a construction business from small beginnings over some 30 years. The UK construction industry has seen a shift in steel market share from 30% share of the multi-storey buildings market to the current consistent level of 65% share. 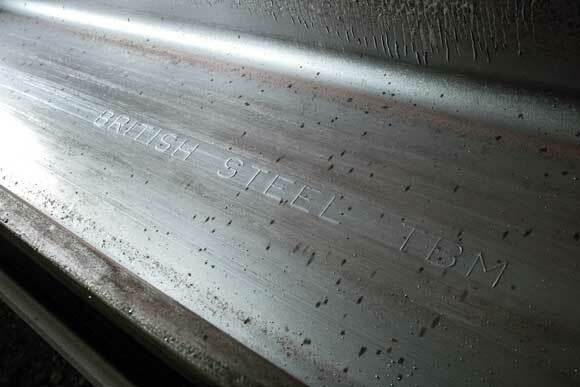 The British Steel brand has been readopted by what was formerly Tata Steel Europe’s Long Products Division. It manufactures structural sections, rail track, wire rod and special profiles. After being bought by Greybull Capital in June 2016, a turnaround strategy was put in place and is showing clear signs of working. The 5,000 strong workforce, including management, agreed a 3% pay cut at the time of the acquisition – a strong show of support for what is a leading employer in the traditional steelmaking areas of Scunthorpe and Teesside. That pay cut has been reinstated with employees given shares equivalent to a 5% stake in the company. British Steel’s Construction Director, Richard Farnsworth explains: “Accepting the pay cut was a great vote of support for the company and we should thank the workforce, as that was a selfless contribution to keep a great British tradition of steelmaking alive. 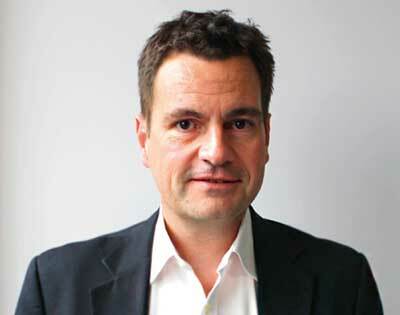 Yorkshire born Richard has been in the steel sector since graduating in Natural Sciences, majoring in Materials Science at Cambridge University in 1989. He joined British Steel as a Technical / Production Graduate Trainee and has had experience across many of the company’s technical and commercial operations, including Plant Manager at the Scunthorpe Plate Mill and as Product Director for Rods. In October 2016, he oversaw bringing distribution and the company’s sections business together to form the new construction business. British Steel has a global customer base and produces around three million tonnes of steel a year. The construction business Richard heads is a highly significant part of that. The company is a world-leader in producing long steel products, which are the products used most by the steel construction sector. Manufacturing in the UK is centered on the integrated steelworks at Scunthorpe, which supplies feedstock to rolling mills both at Scunthorpe and Teesside (see map), as well as at Skinningrove, Hayange in north east France. For construction products, mills at Scunthorpe and Teesside process steel into their final shape for use in buildings of all types and sizes, as well as bridges and other structures, with the larger sections coming from the Teesside Beam Mill, which celebrates its 60th anniversary in 2018. 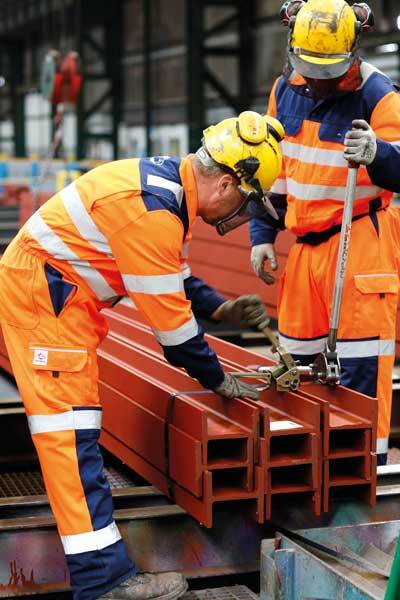 As the only UK manufacturer of structural sections, British Steel branded products are known for their high quality worldwide, providing the customer with confidence and reassurance. “British Steel manufactures a comprehensive size range – well within the tightest dimensional tolerances,” says Richard. The new company is more streamlined than before, it has adopted more efficient processes and has an emphasis on being more responsive to customers. Manufacturing and distribution used to be kept as distinct and separate enterprises, but are now integrated. Construction used to be serviced by a range of other divisions, but there is now an integrated construction team across manufacturing, sales, delivery and customer service. Customer service is behind the development of British Steel’s network of service centres across the UK and Ireland. The Teesside Service Centre, adjacent to the Teesside Beam Mill, is a national hub for processing and distributing structural steel for construction. Other centres and sales offices are located from Newport and Dartford to Newcastle and Dundee, as well as in both Northern Ireland and the Republic of Ireland. The aim is to provide a responsive service to steelwork contractors and steel stockholders, allowing a wide range of products to be sourced from a single site and delivered in mixed loads as required by the company’s own transport fleet. Improved product availability and shorter lead times are key customer benefits from a ‘prairie’ stockyard of 40 acres of steel and 15,000m² of warehousing, holding light sections including square and circular hollow sections. Sections held include grades S355J2 and S355J0. All of British Steel’s sections range is produced in accordance with BS EN10025-2 and complies with the Construction Products Regulations. All British Steel products are also fully traceable. “We have made significant investments in the service centres to provide a comprehensive stock range and the best possible facilities for a range of processing services. The Ireland Service Centre at Lisburn for example offers sawing, shotblasting and priming. It means that customers can access state-of-the-art processing and a wide range of stock all in the one place,” says Richard. Richard says the company is conscious that a new steel manufacturing industry is being shaped, with new and revitalised relationships. “Becoming a headline sponsor of Steel for Life is a sign of that. We think supporting market development of steel construction is very important to us and our customers,” he says. “There is a real opportunity for us to be more open and outward looking, working closely with the supply chain in line with industry trends towards collaborative ways of working.